Every year in Austin Texas between the 24th of September and the 1st of October the largest genre festival in the United States takes place. It's called Fantastic Fest and it's the go-to event of the year for any genre nut. 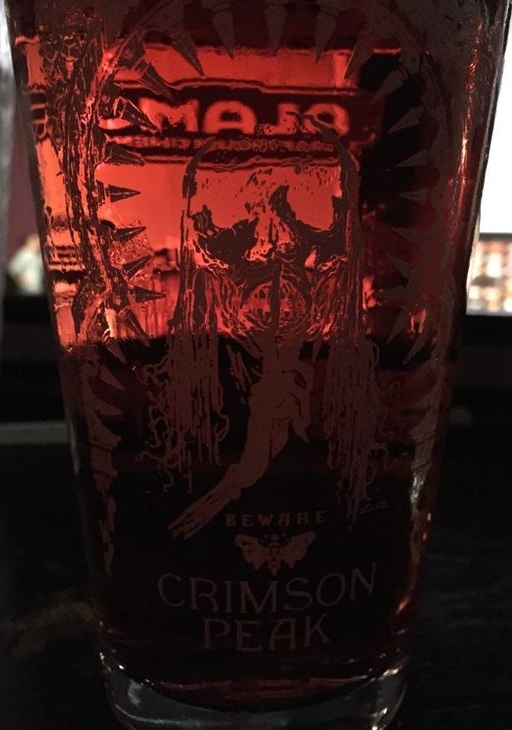 Every year there is a special secret screening and this year it just happened to be Guillermo Del Toro's Crimson Peak. 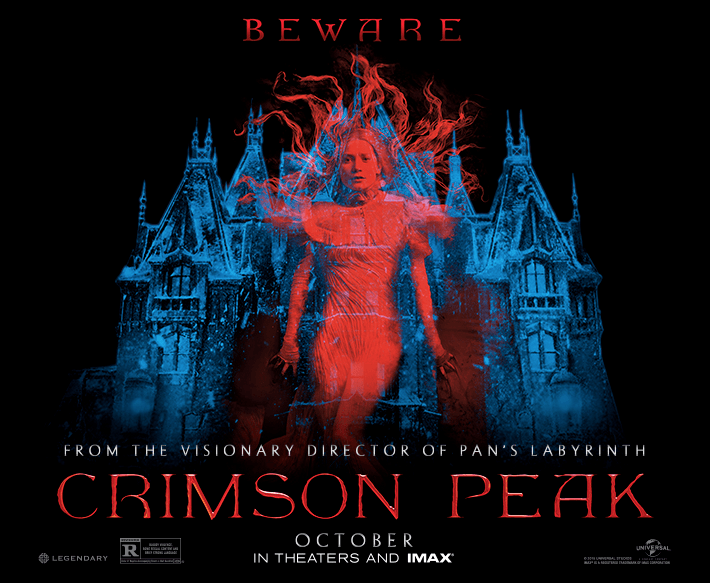 Crimson Peak: After marrying the charming and seductive Sir Thomas Sharpe, young Edith (Mia Wasikowska) finds herself swept away to his remote gothic mansion in the English hills. Also living there is Lady Lucille, Thomas' alluring sister and protector of her family's dark secrets. Able to communicate with the dead, Edith tries to decipher the mystery behind the ghostly visions that haunt her new home. As she comes closer to the truth, Edith may learn that true monsters are made of flesh and blood. Crimson Peak is visually haunting and breathtaking. The atmosphere that Del Toro creates in the film is palpable. It is an immersive and visually beautiful gothic masterpiece full of amazing imagery. When you see it your jaw will drop at all the stunning production design and the cinematography could quite possibly be the best out of any film this year. Jessica Chastain is elegant, beautiful, and mesmerizing, while Tom Hiddleston delivers the performance of his career. Hiddleston and Chastain create a wonderfully creepy Gothic Romance that is in the same vein as Alfred Hitchcock's 1940 thriller Rebecca. Simply put this is a horror/romance done perfectly. Crimson Peak is beautiful, scary and perfect in all the right ways. This is the film of the year and when it is released on October 16th you should run to the theater and see it. The film is a perfect 10 for me and is a shining example of Guillermo Del Toro at his dark fairy tale best.